Barley grass (Hordeum vulgare) is a one-to two-year cereal that belongs to the grass family, which thrives in temperate subtropical regions and has been a valuable source of food since prehistoric times. In fact, germinated barley (also known as malt) is a key ingredient in beer and whiskey. Organic barley grass powder is a potent supergreen supplement made by squeezing the young shoots of barley grass and then drying at very low temperatures in order to retain as many nutrients as possible. Consequently organic barley grass powder is brimming with the beneficial ingredients examined in more detail below. Organic barley grass powder boasts an impressive thirty times more vitamin B1 than cow’s milk, almost seven times the vitamin C as oranges and is a superb source of vitamin B12. Vitamin B1 (or thiamine) is crucial for a healthy digestion, muscles, heart and nervous system, whilst vitamin B12 plays an integral role in brain and nervous system function and the formation of red blood cells. Yet research shows that vegans and rawfood enthusiasts especially, are at an increased risk of a B vitamin deficiency, and in particular vitamin B12, which can result in health complications such as oedema, skin rashes, lethargy, muscle cramps, delayed healing of wounds, bedsores and skin ulcers, insomnia, headaches, nausea, stomach pain, anxiety and depression. Left unchecked it may even lead to gallstones, arthritis, heart problems or organ failure. Vitamin C helps strengthens our immune defence system, protects us from viruses and bacteria, heals wounds, reduces cholesterol, increases cell lifespan and helps to prevent scurvy. As this important vitamin cannot be stored in the body, we must obtain it from our daily diet. The NHS advises adults to consume 40mg of vitamin C every day. 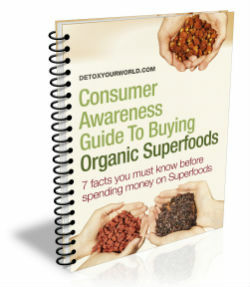 And organic barley grass powder can provide up 50 percent of that recommended allowance in just one easy serving! Organic barley grass powder is understood to possess eleven times the calcium of cow’s milk and five times the iron of spinach. Calcium is essential for strong teeth and healthy bones and can help to prevent the onset of osteoporosis – a serious condition that leaves bones weak and fragile and more prone to breaking. Although generally associated with post-menopausal women, osteoporosis can also affect men, younger women and children. Iron performs several key functions in our body, including the manufacture of DNA and haemoglobin (the protein in our blood that carries oxygen around the body) and an enzyme called cytochrome oxidase (which actively destroys the body’s toxins). It also provides immunity from infections caused by bacteria and viruses and plays an integral role in the transmission of nerve signals. In addition, we need iron to produce protein. If our body lacks iron it can lead to a condition known as anaemia, which causes fatigue, dizziness, pale skin, hair loss, irritability, lack of energy, brittle nails, impaired immunity and restless leg syndrome. Organic barley grass powder is also rich in organic sodium, which helps to dissolve calcium that has been deposited on the joints (making it a useful tonic for those with arthritis) and aids digestion by improving the production of hydrochloric acid in the stomach. Organic barley grass powder consists of up to 45 percent protein, which according to respected UK nutritionist, Gillian McKeith, is more than a sirloin steak. Protein is known as the ‘building block of life’ – our bodies require it to build and repair and to make essential hormones and enzymes. Those on a strict vegan or rawfood diet may slowly start to use up their body’s protein reserves leading to a protein deficiency that manifests in unexplained weight loss, reduced muscle mass and thinning of the hair. If not tackled directly, a protein deficiency can trigger additional health complications such as oedema, skin rashes, lethargy, muscle cramps, delayed healing of wounds, bedsores and skin ulcers, insomnia, headaches, nausea, stomach pain, anxiety and depression. An acute deficiency can ultimately lead to gallstones, arthritis, heart problems and organ failure. The good news is, that by enjoying organic barley grass powder on a regular basis, you’ll get to benefit from a generous quantity of protein and without the unhealthy saturated fats commonly found in red meat. Organic barley grass powder contains plenty of fibre, a nutrient that many in the UK simply don’t get enough of. Indeed, the NHS estimates that most of us only receive about 14g of fibre a day, when we should be aiming for at least 18g. The health benefits of fibre are well documented – it improves digestive health, encourages natural weight loss and is even believed to combat a number of chronic diseases such as diabetes, heart disease and certain types of cancer. 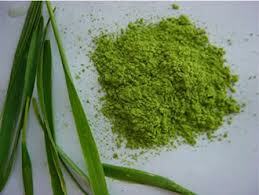 It is chlorophyll that is responsible for organic barley grass powder’s trademark green colour. Chlorophyll actively boosts our immune system and is a natural alkaliser and detoxifier that helps to cleanse our blood and tissue of damaging toxins. Organic barley grass powder – just what the doctor ordered! Adding organic barley grass powder to your daily diet enables you to immediately benefit from all of the amazing nutrients outlined above. And it’s supremely easy – simply stir 1 to 2 teaspoons of organic barley grass powder into your favourite daily shake, smoothie or juice and it’s good to go! I always thought that plantbased vit B12 is called analoog and cannot be seen as truevalueble vit B12 for people. Can you send me some research on this subject? vit d Orthomol Bravo, the ideal answer. Seriously, incredible web site formatting! The length of time have you ever been posting for? you are making writing a blog look quick. The overall appearance of this website is good, aside from the information! environmentally friendly than conventionally produced agricultural products. However, because of the high cost of milk, this fabric option never gained popularity in the textile industry. nutritional value. ” says Amber Bistro’s owner and sommelier, Eric Janssen. these concerned in subcultures based mostly primarily around white rock music (e.g. employment, while working-class youth had much less choice over their lifestyle than these groups and had been more prone to be labelled with the pejorative chavs ”. writing i am as well cheerful to share my knowledge here with colleagues.